Colour-blind justice? 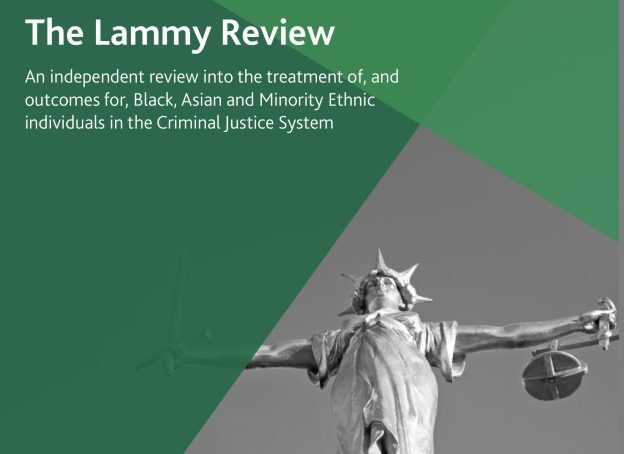 – the long-awaited review by David Lammy MP on race and the criminal justice system released in September 2017 concluded that the system discriminates against black, Asian and minority ethnic people. We already knew that. The disproportionality in outcome between different ethnic groups in the Criminal Justice system been known of and remarked on for as long as I can remember. Nothing meaningful has been done. The report also noted that because black defendants distrust the system, they tend to plead not guilty in court – disqualifying themselves from the reduced sentences that can come with an early guilty plea. 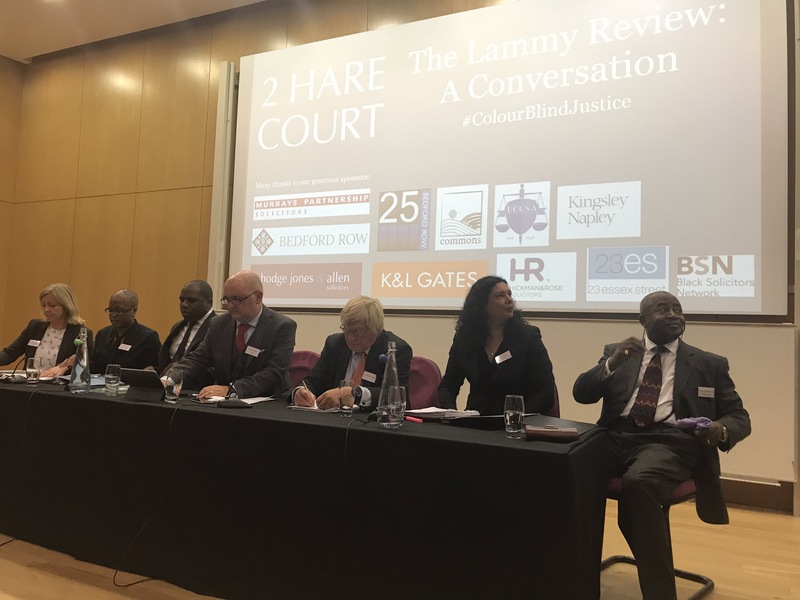 Lammy calls for deferred prosecutions where suspects can have charges dropped by completing rehabilitation; basing criminal responsibility on a suspect’s maturity rather than age; and wiping the slate clean earlier for young offenders who rehabilitate, so they can get on with finding employment. Lammy, writing in the Guardian, calls for urgent action to implement his recommendations which require political support and legislative action. But what can lawyers do within the system to combat the ongoing systemic imbalance? The discrimination which underlies these stark statistics is institutionalised, but covert, and as it is never openly expressed remains unchallenged. We all know what the problem is, but what are we going to do about it? Usually, the answer do the question “what can we do?” is “nothing”. We have to talk about Discrimination. Prejudice. Racism. We have to challenge the Police about their charging decisions. We need to raise the issue of sentencing disparity in Court. The Magistrates need to hear it, and our clients need to hear it. We have become complicit in an unfair Justice system. To stay silent is no longer good enough. 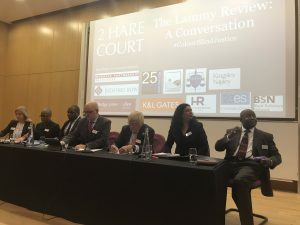 The Lammy Review equips us with the evidence and the stats to challenge injustice, particularly prevalent in the Youth Court. When appearing in the Youth or Magistrates Court representing a young black defendant, dare we say to the bench in our closing submissions “my client is worried that statistically he is more likely to be convicted, and when convicted sentenced higher, than his white contemporary”? Traditionally we would not raise that directly, for fear that we may be thought to be accusing the bench of bias. It is time to stop being afraid. if we don’t call it out, if we ignore the problem, we are part of the problem. This entry was posted in Civil Rights, Featured, Law, Politics and tagged Lammy on September 8, 2017 by Greg Foxsmith.